The IBCS® Standards are published under the Creative Commons Attribution Share-Alike 4.0 International License (CC BY-SA). You may use the Standards for free in any way you wish, but only if you meet the conditions set out in the CC BY-SA license. These means in particular giving proper attribution to the source and its author, the IBCS Association. 1. What are the IBCS® Standards? The International Business Communication Standards (IBCS®) are practical proposals for the conceptual and visual design of comprehensible reports and presentations. The IBCS® Standards are defined in a Creative Commons by the not-for-profit IBCS Association and published on www.ibcs.com/ibcs-archiv. In the context of copyright “IBCS® Standards” or “Standards” shall mean the International Business Communication Standards as a whole or in parts. 2. Who is author of the IBCS® Standards? Rolf Hichert is the original author of the IBCS® Standards. He has transferred his copyright to the IBCS Association to enable the IBCS Association to further develop the IBCS® Standards. The IBCS Association is thus the current owner of the copyright in the IBCS® Standards. 1. Do I violate any laws when I use material from the Internet? A large part of the content available on the Internet is protected by a range of laws, first of all by copyright law. You may use those materials only with permission of the right holders. In other words: By default, you are not allowed to use those materials and by doing so you would infringe on someone’s copyrights, unless one of the exceptions set out in the applicable copyright laws applies (for example, you may be allowed to use a quote from a brochure in an article you write if this is necessary for discussing the content of that brochure). You could therefore be subject to various legal claims, including claims for damages. By “use” we don’t mean merely opening a website and watching its content. This kind of use of the materials on the website is possible without having the permission of the owners of the copyrights. “Use” refers here rather to acts like making copies, downloading, displaying, modifying, or performing the materials. You can get permission in various ways. Often, it will be necessary to contact the owners of the copyrights and ask them, if they are willing to allow you the intended use. In other cases, you may find information on the conditions of using certain materials on the website where you’ve found them. In the case of IBCS® it is said that the Standards may be used under a Creative Commons license. So you can do whatever you want with the Standards as long as you comply with conditions set out in the Creative Commons license. 2. What is the Creative Commons? Creative Commons is a nonprofit organization created with the aim to establish a framework that maximizes digital creativity by encouraging the sharing of knowledge and ideas. It provides for a number of different so called public licenses that allow users the free use of the licensed works as long as a few conditions are met. For more information see https://creativecommons.org and wiki.creativecommons.org. 3. What are Creative Commons licenses? Creative Commons has developed a number of licenses that may be used by any creator or other holder of copyrights who wishes to enable as many people as possible to use their works. By stating that a certain work is licensed under a Creative Commons license, the author (or other right holder) gives permission to use that work in the ways and on the conditions described in the license text. There are six Creative Commons licenses. They all have in common that users of the works licensed under those licenses do not have to pay any license fees. Instead all Creative Commons licenses require from the users that they give appropriate credit to the author (true for every Creative Commons license) when they make the work available to others. Differences between the licenses exist with regard to their treatment of modifications and commercial uses (see FAQ of Creative Commons). The license applicable to the IBCS® Standards is the Creative Commons BY-SA 4.0 International License. 4. What does the “attribution” clause (BY) in CC BY-SA mean? “BY” stands for every licensee’s obligation to keep intact existing copyright notices and name the original author (and if the author or licensor have designated another person or entity that person, too). the user giving away any parts of the Standards under the CC license has to make a reference to IBCS®. The reason is that IBCS® is the only holder of the exclusive rights in the Standards and has as such decided to put the Standards under the CC license. In that position, the IBCS Association may also decide who should be attributed under the CC license. 5. What does the “share alike” clause (SA) in CC BY-SA mean? “SA” means in general that users may modify the Standards but may only hand out the modified version to third parties if they put the modified version under the same license, or a later version of that license or an equivalent jurisdiction-specific license. As a consequence, all future modified versions of the Standards will stay under a CC BY-SA license. That way, we ensure that nobody may take and distribute the Standards without sharing their improvements. Moreover, the use of future versions will not only stay free of license fees, but it will also be clear where the Standards originally came from. 6. Why not a “noncommercial” license? We had at least three good reasons for not choosing a “noncommercial” license. First, we want people to use the IBCS® Standards as much as possible and, with our business background, do certainly not want to prevent people from making money. Second, even if we wanted to limit other people’s use of the Standards to noncommercial activities, the vagueness of the term “noncommercial” would create so much uncertainty that neither us nor you as the users of the Standards could benefit from the advantages of CC licensing as much as desired. And finally, a core field of use of the IBCS® Standards is financial reporting of companies, thus, a very commercial area. If we banned commercial forms of use, we would probably exclude the main use case for the Standards. 7. Why not a “nonderivative” license? Our aim of having a free license is to enable as many people, companies, schools, universities, practitioners, and scholars to use the Standards and to make it better, build upon it for creating something new, and to share their insights and developments with others. Moreover, companies need to be able to adapt the Standards to their needs and internal requirements (for example corporate design guidelines). None of this would be possible with a license that prohibits making changes to the Standards. 8. What are the “international” Creative Commons licenses? Creative Commons’ website offers a good answer to this question on wiki.creativecommons.org. Basically, the international (“unported”) licenses were created to be of use anywhere in the world. However, the laws of the jurisdictions of the world differ, from time to time considerably. In order to better reflect national approaches, Creative Commons developed numerous licenses adapted to specific jurisdictions. Please note that even if ported licenses are optimized for one specific jurisdiction, they may be used anywhere in the world, just like the unported versions. 1. Does personal use trigger any obligations? Reading a document, making copies and modify it for your own personal use does not trigger any obligations under copyright. Equally, CC licenses do not impose any restrictions on you for personally using CC-licensed works, including adapting the covered material for you own needs. Only if you give the work (be it unmodified or modified) to someone else, you have to comply with the license conditions. 2. What if I share the IBCS® Standards without any adaptation? Include license text: You must include a copy of the license text with every copy of the Standards you share. As an alternative you also provide the URL of a website e.g. [http://creativecommons.org/licenses/by-sa/4.0/legalcode] where the license text is available. Do not restrict rights: You may not restrict anyone in exercising all the rights granted under the license, be it by imposing additional contractual conditions or by using technological measures. Keep reference to CC: You must keep all notices that refer to the CC license. If, for example, the title page of a pdf file includes a notice saying that the document is licensed under the CC BY-SA license, you may not remove this notice. Keep disclaimer of warranties: If there are any notices referring to the disclaimer of warranties contained in the license text, you must keep them in the Standards. Keep copyright notices and authors: You must keep intact all copyright notices for the Standards and must name the original author (if the name is provided to you) and, if applicable, any other third party the original author or owner of the exclusive rights wants to receive credit. Do not imply endorsement: You must not give the impression that the persons receiving credit sponsor or endorse you. Indicate title: You must also indicate the title of the Standards or the part of it if supplied (e.g. “Waterfall notation rules” or “Notation of time periods”). Indicate URI: If provided to you and reasonably practicable you must also indicate the URI of the work (e.g. https://ibcs.com/standards). 3. What is an adaptation? Thus, the term “adaptation” is understood very broadly. It may cover changes to texts and graphics as well as additions, deletions of certain parts of a material, rearrangements, translations, etc. As long as the original work is still recognizable when you use it for your purposes, you should consider it an adaptation. The only exception is, if you make the entire unmodified work a part of a collection of various independent works that is in itself an protected intellectual creation. Typical collections are encyclopedias and anthologies. 4. Do I have to disclose my adaptations to the public? The “share alike” does not mean that you have to disclose your adaptations of the IBCS® Standards to the public. You don’t have to make your adaptation available to anyone, if you don’t want to. It is perfectly fine to use it for only your own purposes and share it with nobody. But if you let other people have your adaptation, you must do so under the CC BY-SA license – and you must license your own adaptation under that license, too. But even this does not mean that you have to publish your adaptation in a way that everyone has access to it. You just have to give everyone who gets your adaptation from you the rights under the CC BY-SA. 5. What if I share the Standards with my adaptions? License under CC BY-SA: You must license the adaptation under the same license as the original Standards (i.e. CC BY-SA), or under a later version of that license or under an equivalent ported license. Indicate adaption: You must clearly indicate that the original work was adapted by you. … myself only for mere private purposes? You may use, including change, a work for your own private purposes without any restrictions. The license conditions do not apply in these cases. … my company for mere internal purposes? If you use and adapt CC-licensed material and do this exclusively within your company, it is not necessary to meet the requirements of the CC BY-SA. However, the use must take place within the same legal entity. If you provide people from another entity, even from companies within your group, you have to comply with the CC BY-SA conditions. … related companies (affiliates, subsidiaries, etc.)? Handing out the CC-licensed material, including your adaptations, to any third party triggers your obligations under the CC BY-SA. This is true, even if the third party is closely connected with you, like affiliates or subsidiaries. The recipient itself, however, does not need to meet any obligations in exchange for merely receiving the CC-licensed material. … my customers or any other company? Handing out the CC-licensed material, including your adaptations, to any third party triggers your obligations under the CC BY-SA. Your customers may thus use your adaptations without any license obligations, as long as they use them merely internally. Moreover, don’t forget that you have to comply with the CC BY-SA license, when you provide your customer with the Standards. If you give your students media that were created by adapting the Standards, you need to ensure that you fulfill all license obligations. Even if you just show the Standards in your class at university (for example by using a projector), you need to comply with the CC BY-SA license. 7. How do I give credit under the CC BY-SA license? Wording: What attribution must accompany the shared piece of the IBCS® Standards? © [YEAR] IBCS Association. Licensed under Creative Commons BY-SA 4.0 International. © [YEAR] IBCS Association with adaptions by [your name]. Licensed under Creative Commons BY-SA 4.0 International. 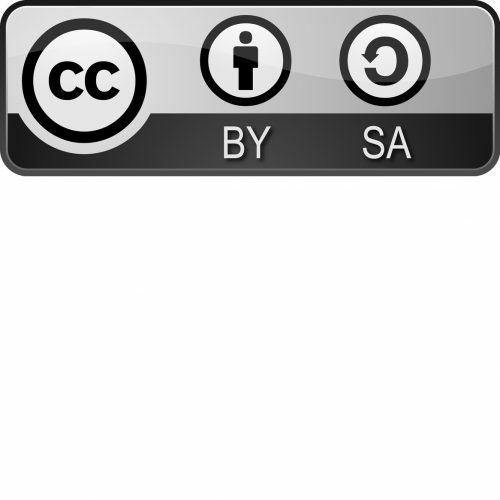 Please do not forget to hyperlink the phrase “Creative Commons BY-SA 4.0 International” to the URL “http://creativecommons.org/licenses/by-sa/4.0/legalcode”. If hyperlinking is not possible please name the URL explicitly. Positioning: Where do I place the credits? You should follow the following guidelines: if you share a small piece of the IBCS® Standards (less than one page) like a graphic from the poster IBCS® WITH SUCCESS or a paragraph from the IBCS® Standards please add the credits either right after the piece or with a link to a corresponding footnote. If you share a bigger piece of the IBCS® Standards (more than one page) like the concept “Waterfall notation rules” please add the credits in the paragraph right before the piece of the Standards is cited. © 2018 IBCS Association. Licensed under Creative Commons BY-SA 4.0 International. 8. Do other forms of licensing the IBCS® Standards exist? As the IBCS Association is the exclusive owner of all rights in the Standards they can also offer other forms of licensing. So if you do not want to accept the obligations of the CC BY-SA License e.g. because of the clause SA (and possibly other reasons) you are invited to contact us. This website contains copyright material, trademarks and other proprietary information protected by intellectual property rights. All use of the website is subject to the terms and conditions set forth below. We may amend these terms at any time by posting the amended terms on this site.